With this add on you can easily track the current status of a property's board, when action should be taken, and the board contractor responsible. 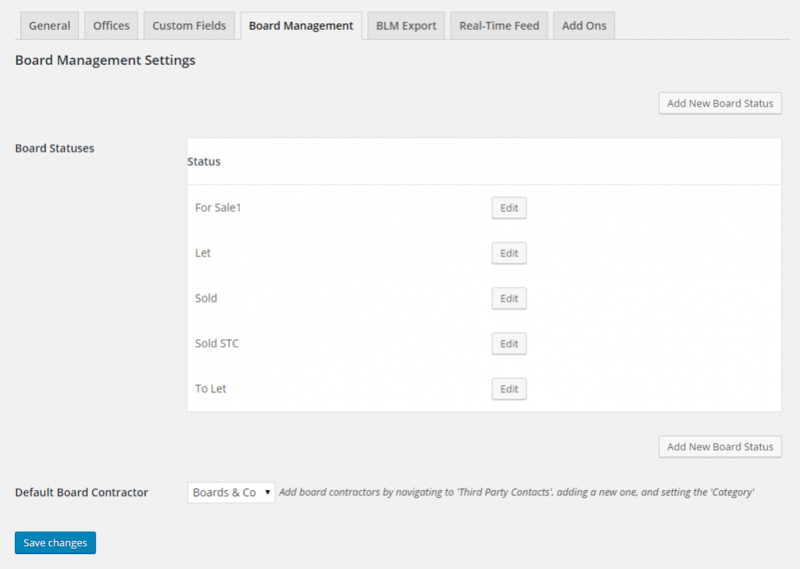 Choose the board statuses that you’d like to use within your Property Hive installation, as well as the default board contractor. Board contractors can be added and managed through the ‘Third Party Contacts’ section of Property Hive, available from the left hand navigation. Once activated you’ll get a new tab when editing a property record. From here you can choose the board contractor responsible for the board, the status, date required, and any additional notes. 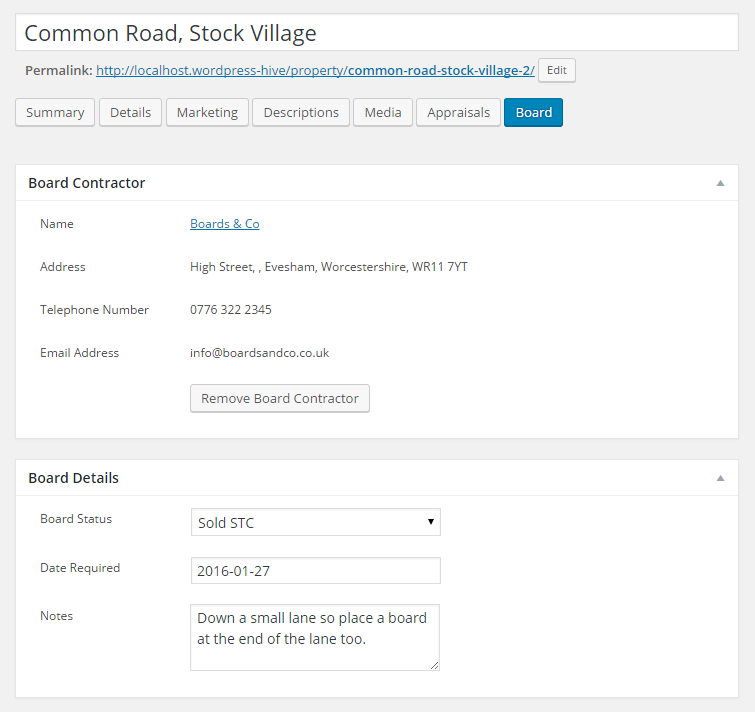 If you’ve selected a default board contractor from within the Property Hive settings, they will be selected automatically the first time you come to enter this information. Don’t bother with the other plugins if you are developing a UK estate agency.